Is The BMW M4 CS Good Enough To Justify Its Six Figure Price Tag? It sits right in between the M4 Competition Package and M4 GTS, but $100k is still no chump change. It’s hard to go wrong building a car when you start out with a donor as good as the BMW M4. The only problem with the M4, as BMW found out when it quickly sold out all 700 units of the M4 GTS, is that it just isn’t special enough for some owners. Like the Ford Mustang, it’s quickly gained cult status as being an entry-level sports car that’s attainable to a fair bit of the population. That’s great for BMW, but it also means that, like the Mustang again, many buyers take their beloved Bimmers to the tuning shop to extract more power out of their M cars. With its eyes on crushing aftermarket tuners by offering factory-built hotrods that remain stock and can be considered untarnished by non-certified grease monkeys, BMW released the M4 CS. Unfortunately, the M4 CS only carries a 35 horsepower premium over the M4 and claims a meager 16 extra ponies over the M4 Competition Package. 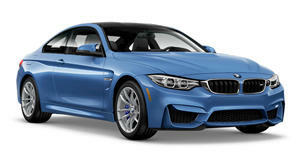 Thing is, the M4 CS isn't just about more speed, its existence has a dual purpose: to see how fans would respond to more special edition BMW M cars, especially one that costs $20,000 over the price of an M4 equipped with the competition package, and to gauge how popular aftermarket M Performance parts can be in order to steal more money from the aftermarket tuners. The results are nothing short of spectacular, at least according to Autocar’s analysis of the M4 CS, but is it worth the $100,000 check that BMW will ask before handing one over? That’s a tough call, but as some of the lucky few that saw the M4 CS debut in Shanghai, we can say that paint job and the car's looks alone might be worth it.